Are you aware that some of this season’s hottest trends are actually comeback trends from the previous decades? Believe it because one trend, in particular, that’s taking the fashion scene by storm was actually popularized during the 90s. Heck, even some of the fashion bloggers featuring this trend now were barely even walking back then! Of course, we’re talking about the return of the plaid shirt. This style actually never went away but it’s just now that it’s really making its presence felt, especially with that whole wrap-around-the-waist style. Definitely a major comeback for the 90s fashion, wouldn’t you agree? If you still haven’t gotten around to trying out this style for yourself, we highly recommend that you get in on this bandwagon right away! Don’t know where to start? 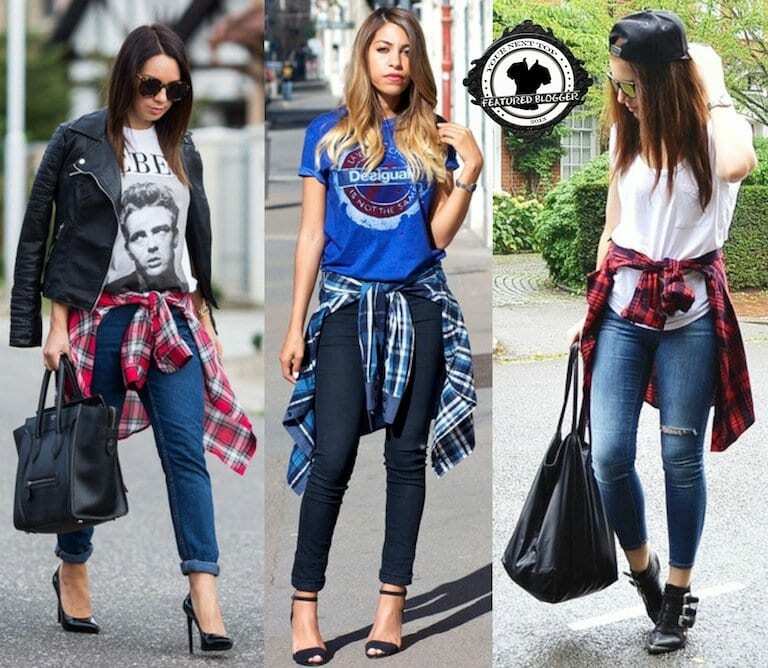 Worry not because we have some of today’s hottest fashion bloggers to give you an idea of how to rock the plaid shirt wraparound trend with boots, sandals, and sneakers! Edgy, grunge, rebel… any of those words ring a bell? If that’s the style you cater to, then wrapping a plaid shirt with your tank top and cut-off shorts ensemble would be a great day look for you to try on. Now how about balancing your feminine chicness with some edgy flair? 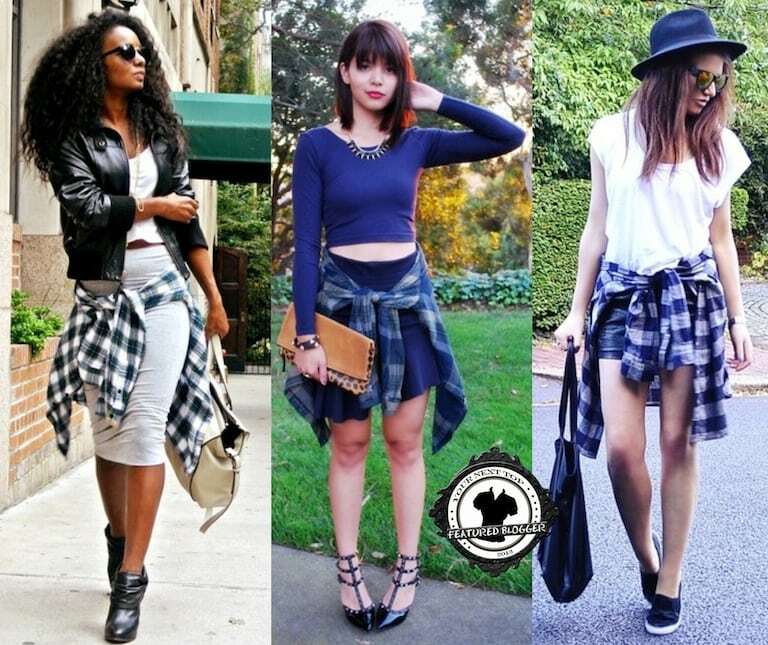 Wrapping a plaid shirt around your skirt ensemble will do wonders in reinventing your whole girly look. Get some fashion inspiration from these fashion bloggers below but don’t just limit yourself to mini and plain-looking skirts, because it’s also fun to play around with different lengths as well those with prints that would complement the plaid print. Of course, there’s the tried-and-tested plaid shirt with jeans look that never fails to amaze. Adding a pop of print and color to a simple shirt and jeans ensemble really makes all the difference in transforming this look from plain and casual into casual and laid-back with a kick. Make sure to mix and play with the colors, prints, and textures of your outfit for a more vibrant look from day to night. Of course first things first, you’ll be needing the perfect plaid shirt to wear around your waist or whichever way you want it!